Building your Instagram is no easy challenge. It demands hard work and consistency, but apart from that, there are some smart tricks you can use, that will let you grow your page faster. These methods are tried personally by me, so I’m 100% certain they work. In this article, I thought I’d share my knowledge with you. Too often, I see articles about growing Instagram followers, but when you study the case closer, the writers have a very small Instagram following and very little own experience of actually doing it. In this article, I’ll be taking it from the very beginning and start – from setting up your page to sharing content. These steps are all necessary for Instagram growth, and I’ve used them all! If you’re just getting started, or if you just haven’t done this step earlier, now is the time. 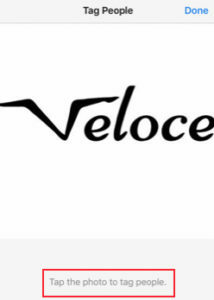 I put a lot of energy on making sure my page looked appealing, and you should too! If you have a logo, use it as your profile picture, this will make your page look more professional. Make sure you aren’t skipping some parts of the bio information. Fill in everything you can. Now that you’ve filled out the boring stuff, it’s time to start having some fun. Your bio is one of the first things visitors will notice, so it’s important that you adapt your bio depending on your niche. For example, if you run a bank’s Instagram account, you might want to look at having a more serious tone, but if you can, adding a bit of humor in your bio can help you a lot. Your bio should quickly tell the visitor who you are and what you do. If the bio doesn’t tell that, you might want to consider tweaking and changing it. Related: What you should write in your social media. When you’re starting out, your profile looks like an abandoned house. Nobody wants to follow an account with zero content, let alone visit their page. The first step is pushing out content. It is more important that you share content at all instead of looking at sharing highest-quality content which results in one post a week. When starting out, you can post as much as 10 posts, because you haven’t started building your page yet, which means you won’t be clogging up anyone’s feed. In addition, it’s a great way for you to start getting your first few followers by adding hashtags to your images. If I’ve learned something from my 5 years on Instagram, it is that engaging is key! Before I started out, I had no idea about the importance of it, but I cannot express how important it is, too much! By engaging with your target audience, you make people aware of your page’s existence, and if you’re engaged with those who are interested in what your page is sharing, then there’s a big chance they will start to follow you. First of all, hashtags are a tremendous tool for finding your target audience in an easy way. When you’re starting out, it can be difficult to know where to search when looking for your target audience, but hashtags are a great place to start. What I did was to simply go to hashtags on Instagram and search for various keywords in my niche. There are usually a ton of different variants of your keyword, some of which are suggested as you search, so with this method, it shouldn’t be a problem finding your target audience. 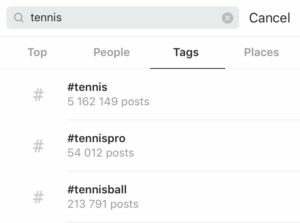 For example, if I search for tennis in the hashtags, I get suggestions such as “tennispro” and “tennisball”. These keywords are also keywords that my target audience might be using. Check-ins are just like hashtags: a way to find your target audience. But the difference here is that you search for locations instead of a worded hashtag. This one is a bit trickier but very fruitful when you get a hold of it. For example, if my niche is tennis, then searching for tennis events like Stockholm Open will get me results of people who are there or have been there, and probably are interested in tennis. The Explore page is great because Instagram puts accounts that might be interesting for your page there. This means laser-targeted accounts that Instagram has hand-picked for you. So you don’t have to actively search for them. There’s a big chance your competitors already active and have built a following on Instagram. By going to the profile of your competitor and tapping the symbol above, you can see pictures people have posted, in which your competitor is tagged in. 4. Checking your competitor’s hashtags. Now that you know where to find your target audience, it’s time to start engaging. Because I have prioritized engaging with my audience a lot when building my page, I’ve learned which methods work best and which work less effectively. This is probably the method that leaves the smallest impact, however, liking posts by your target audience lets them become aware of your page, and if you do it on a lot of pages (while avoiding being blocked for liking too many images), you can gain quite a few followers while at the same time gaining some likes and comments. This method lets you make a much bigger impact on the person you’re engaging with, than by simply liking their post. Leave a comment and credit them for posting great content. A great way to getting the conversation going, and building up a relationship is to ask a question at the end of your comment. For example: “I saw that you visited Stockholm Open, how was it?”. By taking information that you’ve got while looking for your audience, you can ask questions that they are really passionate about and in that way continue a long conversation instead of just writing “nice” on their picture. A second method you can use is to recommend your own page to them. Self-promotion is always a bit tricky, but if you do it smoothly, it might be appreciated by them. Once again, you want to use the information you’ve gotten while searching for them because this will let you build the connection between you and your audience quicker. This is one of the best, if not the best method that lets you build valuable relationships with people in your niche, however, I should warn you that it’s extremely time-consuming. And on top of that, Instagram restricts the number of Direct Messages that can be sent in a short period of time, so you can’t send too many of them. However, that doesn’t mean you shouldn’t use them. Some of my most valuable relationships and engaged followers was established through Direct Message so this is something I highly recommend. Thankfully, sending a Direct Message has become extremely effective, compared to when I used to do it the most. 1. Go to the account of the person you wish to send a DM to. 2. Tap the paper plane icon in the top right corner. When sending Direct Messages to your target audience, you want to be share value without asking for anything in return. For example, if they’ve just started following you, you can thank them for following you, welcome them to the family and say that you hope they’ll like what you share. This works exactly as a doorman when entering a restaurant, or whatever, really. By getting welcomed, you become happy and you feel like people want you there. The same goes for when you welcome them on DM. By messaging them and providing value without asking for anything in return, you will get value back in the long run. The reason to this is because people who you have engaged with in a genuine are more likely to become loyal followers who share your content. By messaging them and providing value without asking for anything in return, you will get value back in the long run. The reason to this is because people who you have engaged with in a genuine are more likely to become loyal followers who share your content. If you want to write a message to someone who doesn’t follow you, you should take the same approach, but obviously, you can’t thank them for following you. Talk about how you have the same interest and ask them for their opinion on something. By doing so, you show that you value their opinion and they feel like they are on the same level as you. Doing this correctly is the greatest recipe for getting followers – loyal and targeted such. This point continues on the engaging track, but because it is so extremely important, I thought that it deserved a headline. Something that I have learned over the three years I’ve worked actively with Instagram, is that responding to comments is extremely important for your retention. An Instagram comment left by someone from your audience is like a conversation. If someone says something, would you ignore them and not answer? The same goes for your Instagram posts. You should respond to every single comment on your posts. Even if it’s a complaint, a “thumbs up” emoji, a compliment or an angry follower. When responding to comments, make sure you are taking your time to answer them genuinely and thank them for commenting and supporting your page. You can even ask them how their day have been or wish them a pleasant weekend. By doing the above, I’ve been able to get a handful of extremely loyal followers who comments on every single post I share and that I have valuable conversations with. In addition, having loyal followers, that partially comes from having engaged with them in your comment section, you can gain valuable insights into how you can improve your page. Instagram is a great place when it comes to learning from the past. And I, of course, talk about the content you are putting out. By looking at the results your posts generated before, you can get a better understanding of what your followers enjoy, and what they don’t enjoy. Scroll down a bit to your older posts and look at likes and comments. You’ll pretty soon be able to see a pattern of what kind of content generates the best results and what kind of content is less effective. However, do have in mind that if you’ve posted a post that engaged a ton of people from your audience but didn’t get as many likes, it might be valuable for you to continue posting that kind of content, as sharing content which your followers engage with is one of the best methods to getting your content shared and ultimately reach a bigger audience. Now that you’ve noticed a pattern in posts that got awesome engagement, posts that got terrible engagement and posts that had a lot of comments and shares but fewer likes, you should take this into consideration when posting in the future. Skip posting content that generated the worst results and instead focus on sharing content that you got the highest engagement from. Also, mix it up every now and then with posts that get a lot of comments and shares but a few likes. Doing so means you’re optimizing your page’s content in order to grow as rapidly as possible. Comment groups are fairly new, yet very, very effective if used properly. Comment groups are basically a group of Instagram users (normally in the same niche), who share the post they’ve just posted in the group. When someone shares a piece of content, the meaning is that everyone should go and engage with that post as quickly as possible. If the group include large pages, the chances of the post that was being shared ending up on the Explore page (as we talked about earlier) is dramatically increased. 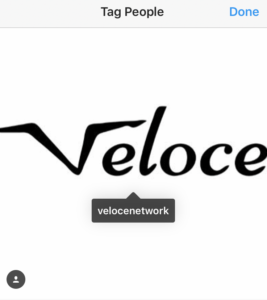 When Instagram noticed that a lot of the big players are liking/ commenting on the same post, they put it on the Explore page for other people to see. And by ending up on the Explore page, you go “viral” which means you’ll gain a ton of likes and comments and a bunch of followers. In addition, by joining comment groups, you’ll also increase your comments and likes on your posts when the members of the group engage with your post. The best part is that the followers of the accounts who are engaging with your post can see your post in the “activity page”, and possibly visit your page and start following it. To see the activity of other pages, you tap the heart symbol in the bottom of the screen and then slide to the right so you are on “following”. Now, you can see the activity of those you are following. And this is the great benefit when people in your group engage with your post. Shoutouts are a super effective tool to grow your Instagram followers. A shoutout is a post in which the “poster” of the post encourages its followers to follow an account. The purpose of a shoutout is that the followers of the person doing the shoutout are going to begin following you. In short, it’s a way of growing your followers, by getting other people’s followers to start following you. The most common form of shoutout is a so-called “Shoutout 4 shoutout”, also called “S4S” or “Shoutout for Shoutout”. This means that you do a shoutout for a shoutout in return. As you can guess, no one wants to give you a shouout without anything in return, that’s why S4S:s are very effective. When looking for people to do S4S with, you want to look for accounts who are in the same niche as you, because this is what will gain you followers. Secondly, you should look for accounts who have a similar follower amount as you. If the other page is much larget than you, they will most likely say no, because you are the only one who will benefit from the S4S. Search for accounts in your niche who have a similar follower amount as you. By now, you should know your niche very well so finding similar accounts shouldn’t be an issue for them. Send a Direct Message to these accounts and ask them if they want to do a S4S. Not everyone will want to do shoutouts (even though they are very fruitful) for some reason, but the more people you contact, the more people will say yes (Go figure). This is a method of gaining followers which is very controversial. I personally have not used this method a lot, only a tiny bit in order to see if it actually works. And before you ask, yes, it does work. The follow/unfollow method means that you follow a bunch of Instagram accounts so they become aware of your account and with the purpose of getting them to follow you back. After that, you unfollow them in order to follow new accounts. The reason you unfollow is that the following limit on Instagram is 7500. When you have followed 7500 users, you cannot follow anymore. That’s why you need to unfollow users before or when you hit that road block. This method is controversial because a lot of people hate when you follow just to unfollow. Even to the point where people write “don’t follow to unfollow” in their bios and in their posts. The follow/unfollow method can gain you around 1/3 of the total people you are following if done correctly. If you want to use this method, it is completely up to you, even though some of the people who begin following you will unfollow you when they noticed you have done the same thing. When you are following, you want to make sure that the people you follow are targeted accounts. A great place to look for people in your niche is to go to your competitors and start following the people who are following your competitor. You can also follow people who have liked a post of your competitor in order to laser-target your efforts. I’ve run a couple of contests on Instagram and made a few very interesting observations. First of all, it is important that you make the rules of the contest very clear. How do you join the contest? If you don’t include these, confusion may be created and it might prevent people from joining. There are several ways you can set up your contest, and depending on how you set it up, you’ll get different results. 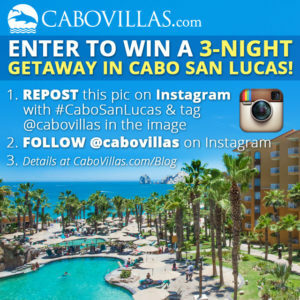 Asking your followers to repost your giveaway post is a very common rule of entry on many Instagram contests. However, it might be risky. If your audience doesn’t think the prize is good enough, they might think that reposting an image is too much work. Because to be fair, asking them to repost a photo is to ask them to go out of their way, even if the prize is good. They included all the steps to enter in the image which is even better than only having it in the caption, as people watch the image before they read the caption – if they read it at all. Secondly, they made easy-digestible step-by-step rules. Can you guess when they announced their contest? You guessed that right. In May. 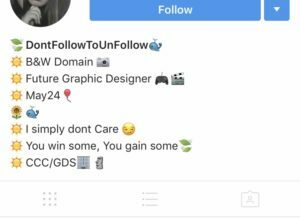 This is the most common rule of entry when it comes to contests on Instagram. It’s super easy to tag a few friends in a post and tap the “follow” button to enter a contest, so a lot of people will do this – even if they price isn’t too good. The good thing with this method is that it can result in huge traction in a short period of time. Let’s say that one person tags two people, the other two people tag two more people each and so on.. Very quickly, you’ll have a lot of contestants. Here’s a tree that can symbolize the contestants who join the contest. One person who tags two people can result in a total of 25 entries. Based on my own experience, this is the least effective way to run a contest, however, because it is easy to join, those who see it will gladly like the picture and follow your page. The bad thing about this setup is that because there are no rules that you should share the contest, these kinds of contests normally don’t get a lot of traction, and don’t result in a lot of new followers for the one arranging it – simply because the news about the contest doesn’t spread. 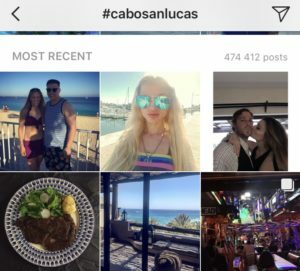 Over the years that I’ve used Instagram, I’ve learned the importance of Instagram hashtags and how effective it actually is for an increased engagement and a faster growth. You are allowed to use a maximum of 30 hashtags on Instagram, so why no use them all? Using them will mean a more widespread reach of your posts. Aim on ending up on “top posts”. These are the most popular posts that have got the highest engagement among the posts that have been posted with a particular hashtag. The top posts are located at the top of each hashtag, which means that top posts get a ton of exposure and will help you grow your account. Add your hashtag either in the comment section or your caption – however, if you’re using 30 hashtags, it’s better to put them in the comments as it will look messy and spammy if you have 30 tags in your caption. 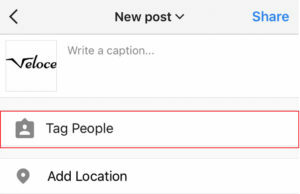 If you didn’t know, you can tag up to 20 people in your posts on Instagram. However only on photos, not videos. 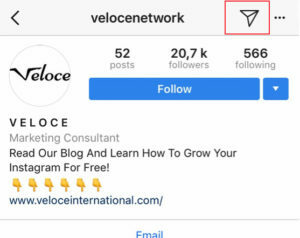 If you tag targeted users in your images, you’ll get 20 likes and 20 comments – which is great because then the followers of those 20 people will see that they’ve commented on your post and possibly check it out. In short, your post will get a broader reach. When tagging people, it will be visible in the profile of that account, which means that people can find your post long after they got tagged in your page. People who get tagged in a post often engage with it fast, and the faster people engage with it, the more likely the post is to end up on the Explore page. To tag people in your post, tap the camera icon just like when you post a photo on Instagram. Make sure that you post a photo because you can’t tag people in videos. When you’ve chosen a photo and tapped “next”, you’ll see the button “Tap people”, tap it. To tag people, tap the photo and then search for the user you wish to tag. You can then drag the name and then place it where you want to have it. As you can see, there are a ton of methods you can use to grow your Instagram followers. Of course, there are things such as creating appealing visual content which helps you grow your followers, but as these only have an indirect effect on your follower growth, I decided not to add them to this article. If you would like actionable step-by-step tips on how to grow your followers on Instagram – from setting up your page for optimal growth to using true and tested methods that bring in followers, >> go download my E-book <<.